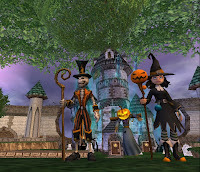 Paige's Page: It's Halloweenfest in Wizard101! Spooky Bob and his Friends Return to the Spiral. 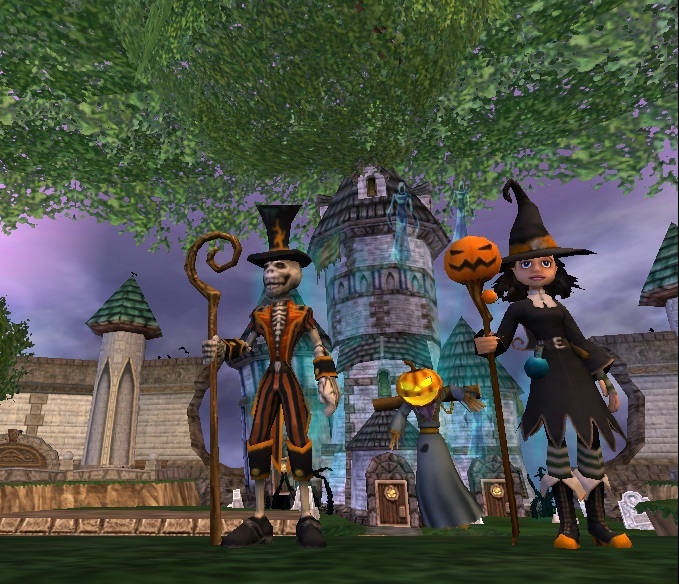 It's the time of the year for Halloween, and that means fun things are happening in Wizard101! All your favorite Halloween friends are back with their ghostly items to get your Wizard into the Halloween Spirit. Wizard101 also got brand new spooktacular Halloween pets to accompany your Wizard during Halloweenfest. Visit Halloweenfest for more information. What is the best pet in haloween which spooky bob sells. I am unsure but I love the black cat. Almost beat Master Tower. Hunter DragonFlame Level 34 Pyromancer. Look for me in the game.